Invincible is the tenth and final studio album by the late American singer Michael Jackson during his life time. 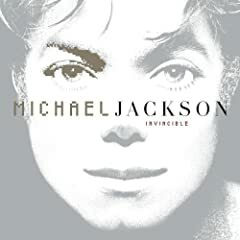 Invincible was released by Epic Records on October 30, 2001, six years after Jackson’s 1995 double disc studio album HIStory, and is the first featuring all new tracks since Dangerous in 1991. Invincible had been reviewed as good and favorable, although most said the record was too long, at 77:08 minutes in length. Whatever the reviews were, the Invincible album has sold over 10 million copies worldwide. For Michael Jackson lovers who haven’t bought a copy of Invincible (aff) album yet, now it’s possible to download MP3 song tracks of Invincible full album for free, today (August 5, 2009). MP3Panda, a Russian online music store, is giving away all music tracks from full complete album of Invincible. No registration is required to download the MP3s, which is encoded as 192 kbps, but the direct download links will be live on August 5, 2009 only, as part of free album a day promotion. Complete album of Micheal Jackson’s Invincible can be downloaded from mp3panda.com or using the direct download links below.